As specialists in the field of venue dressing, we understand the demands for exclusivity and grandeur. That’s what we do, and that’s what sets us apart. The process begins with our team discussing with you or your event planner on the overall theme and effect desired. This is followed by a detailed specification of the material, colour and size, and the corresponding numbers or volume required. Once it is mutually agreed upon, our team goes about putting it all together, ensuring all the material reaches your venue well in time. Thereafter, our team goes into action for initiating the desired transformation of the venue within the timeline defined. Size of the event does not matter – be it a small gathering or a grand event on a large scale. For us at Rentevent based in the Cotswolds, each event is a challenge and an opportunity; we strive to achieve perfection with professionalism on every occasion. Our exclusive and lavish creations carry our signature – the list of satisfied clients bears testimony to that. We leave you free to choose from the long list of options we have for every item category. To know more about the range and choices of what we offer, please visit here. At Rentevent, making your event look stunning is our calling. We specialise in venue dressing and offer several venue dressing services to suit your every need. 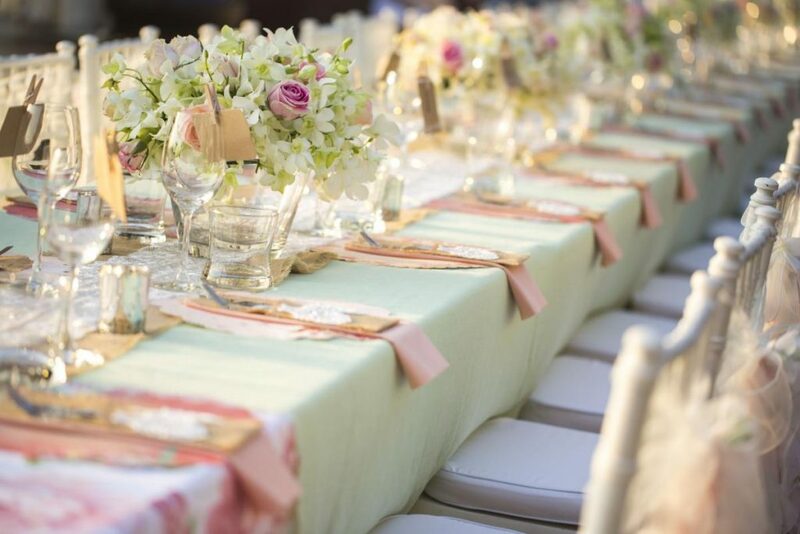 Our team will work directly with you or your event planner to secure the perfect look for your celebration. Whether it’s large or small, you can trust that Rentevent will provide you with nothing less than the utmost professionalism and a beautiful, unforgettable scene for your special occasion. We also offer a DIY hire service which is perfect for events where you want to be in control of every little detail. We package our products precisely and with care before delivering them straight to your door for your UK-based special occasion. And returns couldn’t be more straightforward, with pre-paid courier labels included in your delivery. Take a look at our Hire Catalogue to select the products that interest you, and a member of our team will be in touch straightaway with a free quote. If you don’t see exactly what you’re looking for then give us a call on 01285 862247 or email Michelle (michelle@rentevent.co.uk) and we’ll do everything possible to make your wish come true. Rentevent is your perfect fit for a first-class event; our specialist team are waiting for your request. If beautiful decor – delivered and executed smoothly – sounds like your dream, then get in touch now.